I think I've only had manicure and pedicure at a salon only twice since I started wearing nail polish. I do my own nails and usually apply polish when there's an occasion. Just talking about this makes me feel so deprived of pampering. 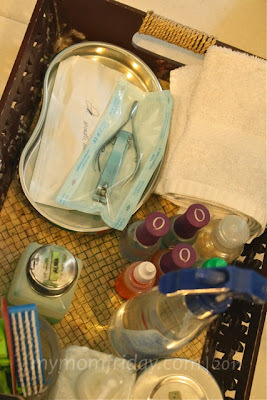 So I could never say no to a foot spa, and a mani-pedi would be the icing on the cake! It all started with a tweet I sent to Partricia and a few blogger friends about how we first met exactly one year ago on August 19. She was so sweet for thinking about us getting together at her friends' nail salon and the plan was set in motion. 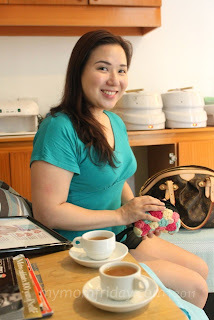 I helped with the invites, then several tweets, emails, and a week later, we found ourselves at COZY Nail Lounge in Libis for an afternoon of girl-talk and a much needed pampering. There were only three of us bloggers who eventually made it. Sill, we had so much fun, thanks to the initiative of Partricia Hizon and the lovely ladies behind CNL, Michelle Taruc and Wenna Lindayag. We were treated to their specialty services at their classy lounge, awash in refreshing powder blue and white. The place really lives up to it's name -- very intimate and cozy indeed! 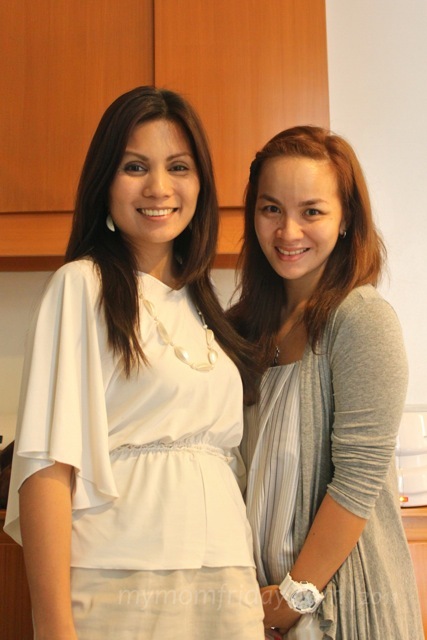 The nail lounge can accommodate up to seven customers at a time and is an ideal venue for bridal showers and private parties where small groups can avail of their unique theme party packages. Customers ushered to their individual recliners, then offered water or ginger tea. Bubble/foot spa machine with special foot soak solution; for cleansing and preparing feet for the next procedure. 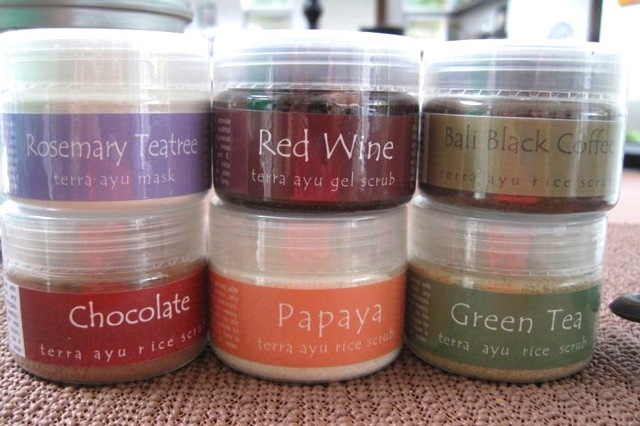 Choose from a line of premium scrubs from Malaysia. Michelle & I chose Red Wine scrub, which is in gel form. 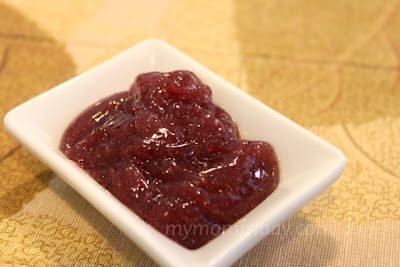 According to Wenna, this is "a perfect blend of ingredients that provide conditioning for soft, supple and youthful skin; has grape seeds that contain polyphenol with anti-oxidant potency twenty times greater than that of Vitamin A and E". Perfect for my super dry skin! Removes dead skin from the feet, leaving it soft and smooth. Cleanse the legs and feet after filing and washes away excess scrub; prepares for next procedure. Removes cuticle from toe nails using sterilized packs of nail clipping and cleaning tools. Check out the sealed packs which the aesthetician had me sign. 5-minute massage. My feet were on cloud nine; toes ready for painting! Choose preferred color. They have rows of premium nail polish brands like ORLY, which does not contain harmful chemicals and is guaranteed safe for use by pregnant women. It was not easy to choose with all those pretty colors! From pastels to bold and dark, to bright colors and frosted metallics. I went for the classic black-red, Olry's Naughty or Nice color. 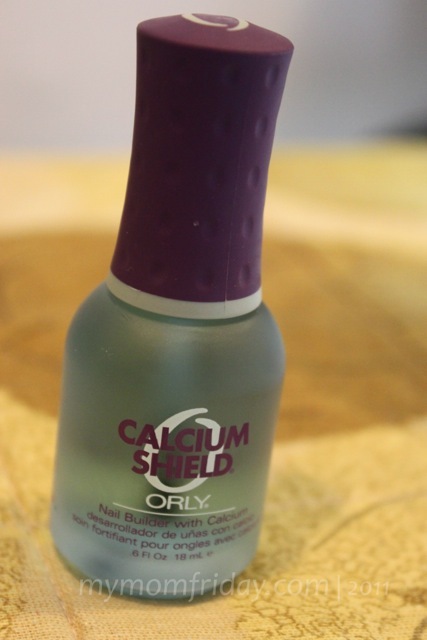 I recently developed dry, yellowed toe nails after ignoring my chipped polished toes for a month, so they recommended a primer of Orly Calcium Shield to nourish and protect my nails. As much as I try to avoid putting my face and the rest of my body parts here on the blog, this time I just have to, after all it's a nail spa post! Presenting my well-scrubbed walkers and perfectly-polished deep red toe nails. 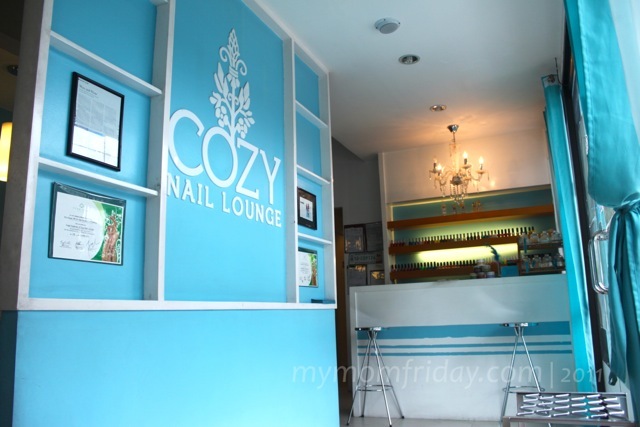 I can speak for the ladies with me here that we all had a relaxing and wonderful experience at Cozy Nail Lounge -- affordable luxury for everyone. That's me on the left, with Michelle M., Patricia H., and Angela N., all smiles and satisfied. Pampered and happy -- me, Michelle M., Patricia Hizon, Angela N.
Here are my feet now -- still looking great even after being exposed to the elements, daily showers, and being stepped on by my two youngsters who can't seem to avoid crushing my toes everyday! I was quite impressed with how the polish held up. No chipping, no cracks, despite the daily 'torture'. Don't know much about nail polish but I'm loving Orly now and will surely go back to COZY Nail Lounge for another treatment soon! 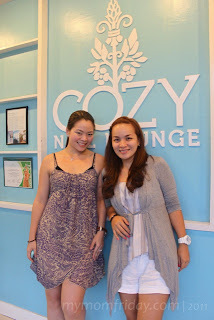 Good news to all...COZY NAIL LOUNGE has launched their Octoberfest Promo! Learn more about their promos on Cozy Nail Lounge-Facebook and set an appointment for a mani-pedi now!